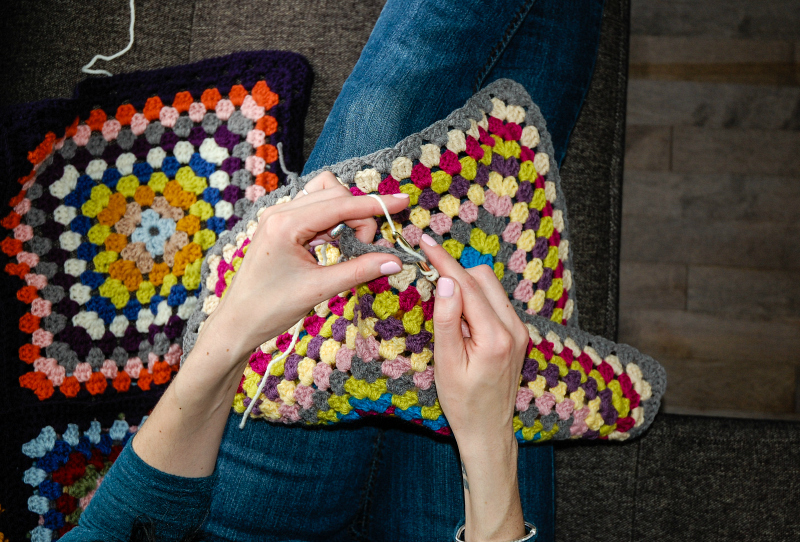 Tiptoeing Through: I Heart Granny Squares! 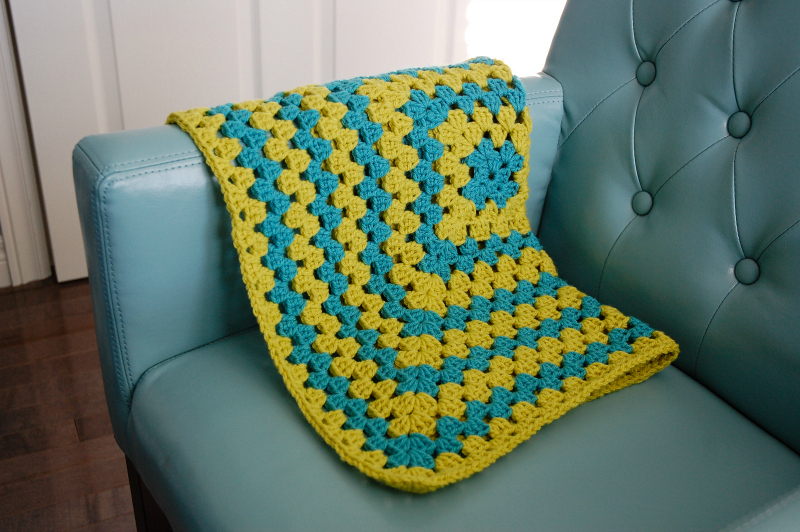 Early this year, I made it my New Year's Resolution to learn how to crochet. 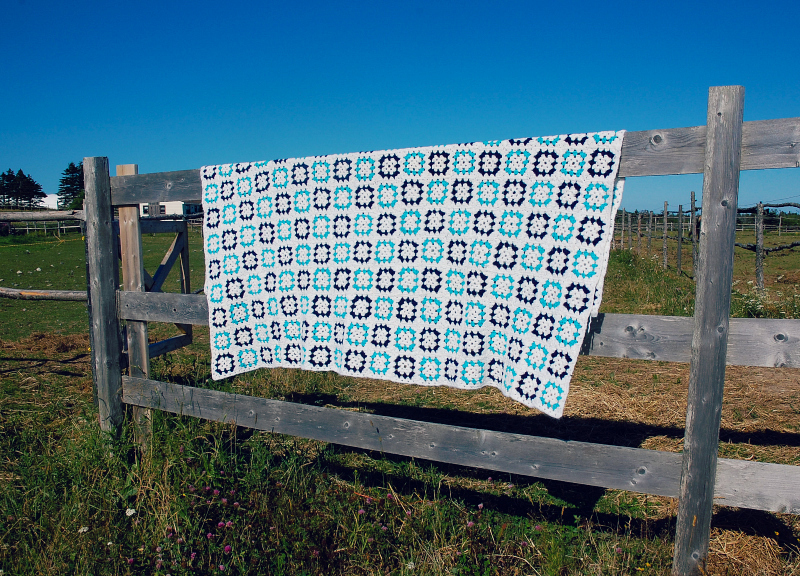 I have been obsessed with granny square blankets (like the one my own grandmother made when we were young and we kept over the back of our sofa at my parents' house) for as long as I can remember. Seriously, who remembers having these on their couch?! It took me a little while to get the hang of it, but I believe I have officially mastered the art of the granny square!! 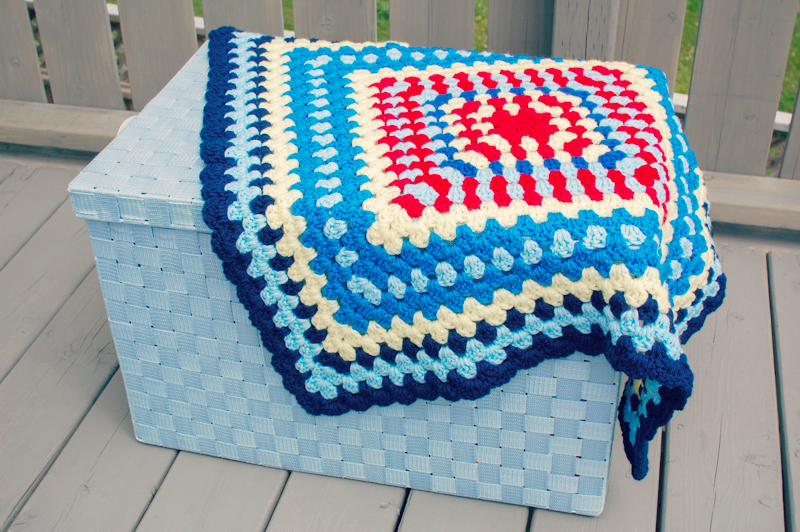 A small granny square for Brennen's lap. 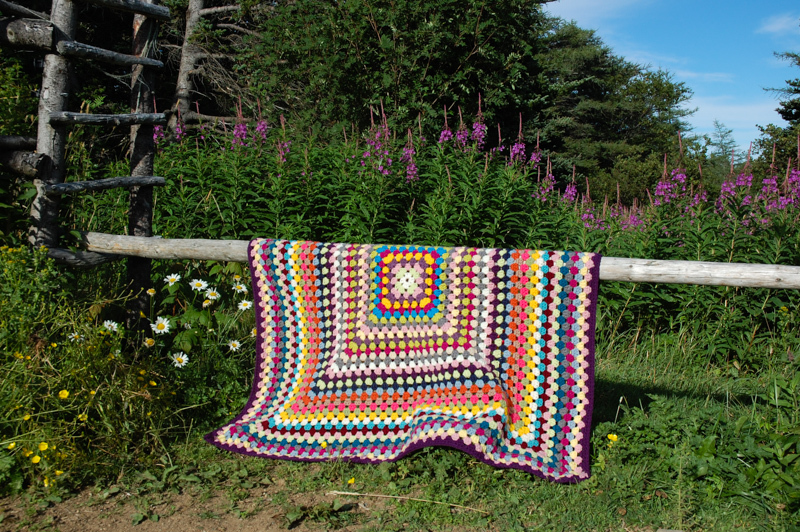 Several large rainbow granny squares..
And this one is a granny rectangle! I even crocheted something other than granny squares. I'm pretty happy with this v-stitch blanket! 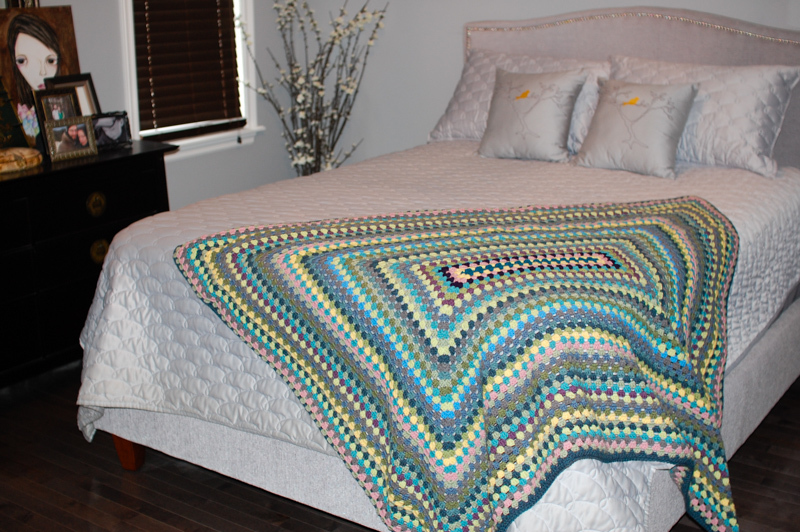 This is my most recently completed large granny square blanket. I love these colours! And I always have a work-in-progress! 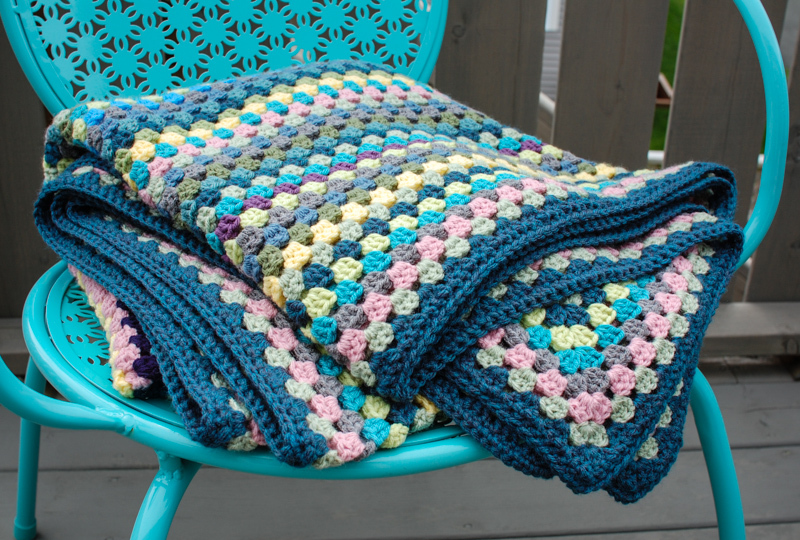 These are some of the other beautiful crochet blankets in my collection that have either been gifted to me, or I have purchased at some little shop around the bay! They are hard to come by, but when I see them, I just have to take them home! I know how much thought and time is poured into each one, and I love that they all have their own story. I just don't know how you can part with these things, but I appreciate them all for the time and the history that is embedded in them. This one I picked up at a local craft fair. I was drawn to the colours (I don't often use red), and I love the scalloped edge! This one was given to me by Andrew's Aunt and Uncle. 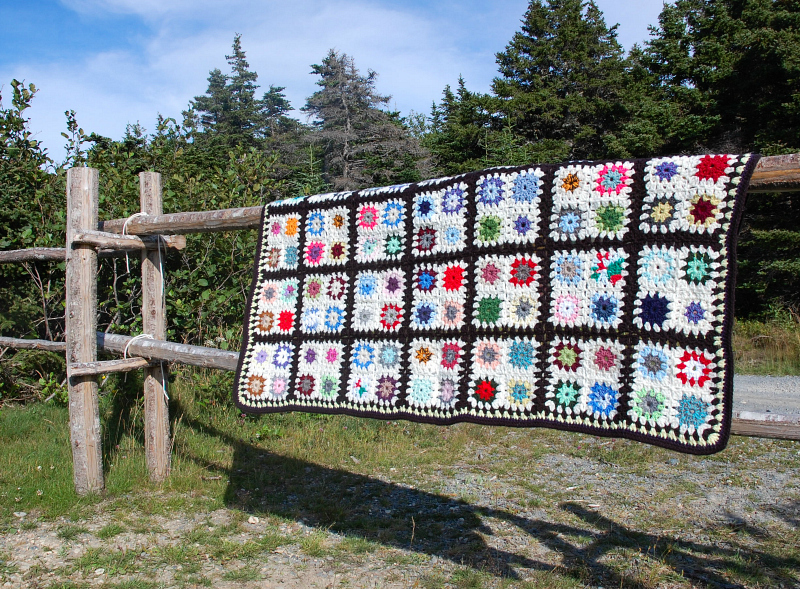 They searched all over Nova Scotia for "granny knots", and finally found this treasure! 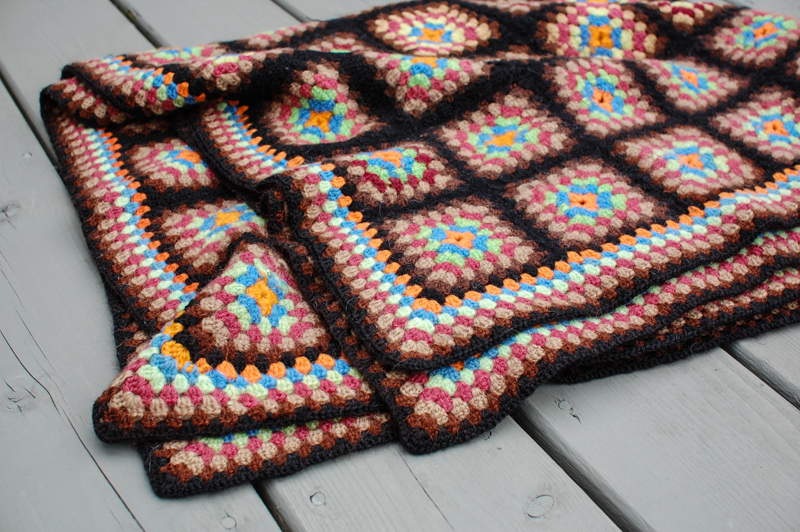 I adore the colour palate, and the super fine stitches! This is one of my absolute favourites! This one I purchased at the Shag It Café in Whiteway. Andrew and I had lunch there one day, and I discovered this beauty in the gift shop! 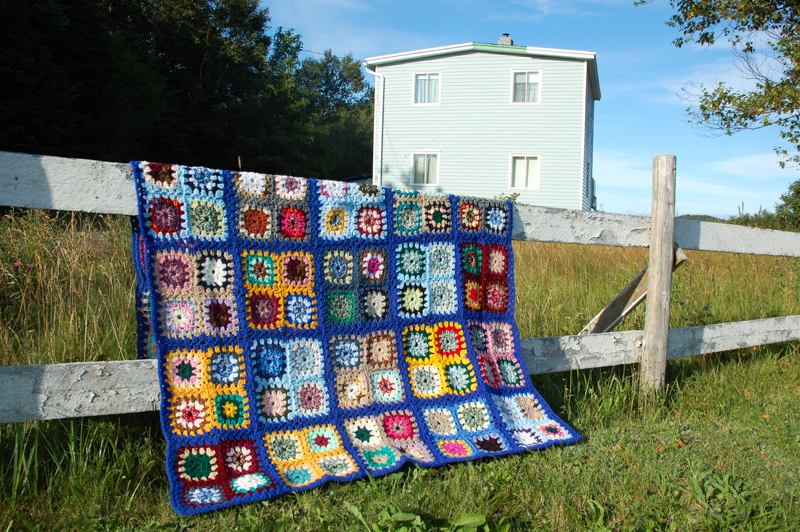 The owner said that an elderly lady in the community worked on this blanket every day while her husband was in the hospital. 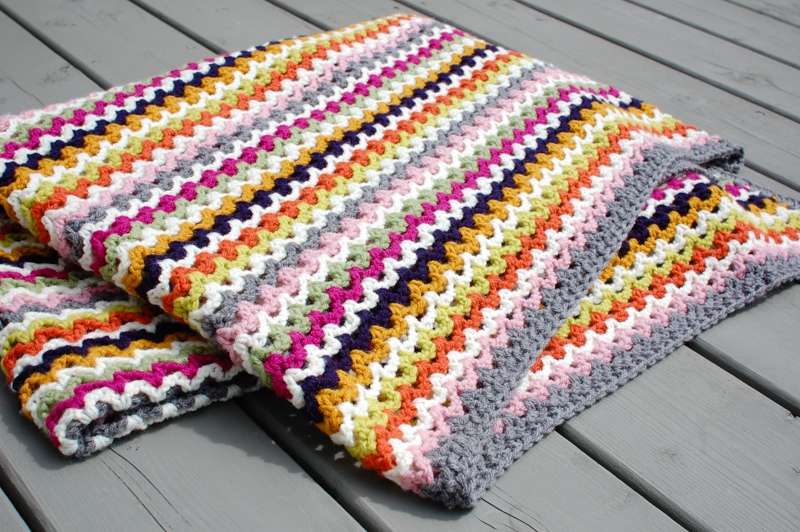 I was so touched by the effort that she put into finding me a blanket that she knew I would love. This one means a lot to me, and I just love the story of how she got it - Let's just say she ended up at an old lady's house around the bay, having tea and a grand ol' chat! 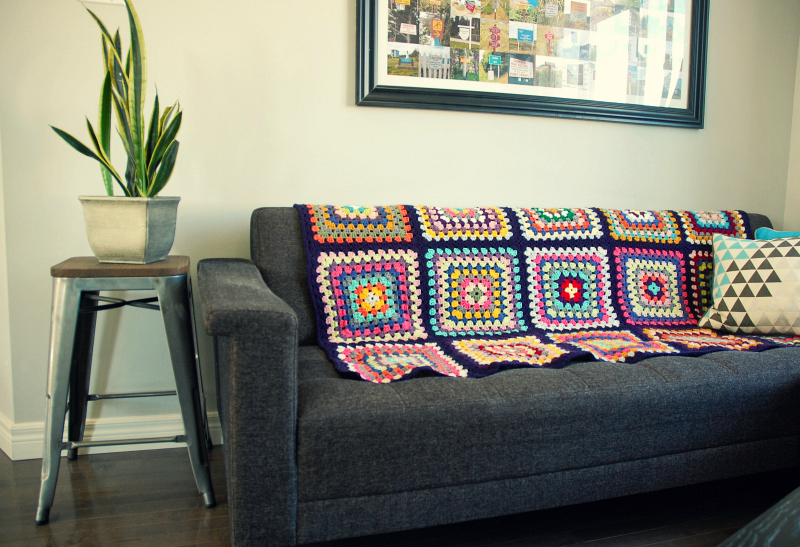 And this is my grandmother's original granny square blanket that hung over our sofa when I was a kid. I am so happy to have it now, and to have so many wonderful memories of such a special lady neatly tucked inside. I love you, Nan! Crocheting has become my new favourite pastime - it is a relaxing (yet productive) way to enjoy those fleeting moments of pure quiet where I can just do something for myself. In my 'down time', when I allow myself to take a break, to take a load off, to breathe.. this is what I like to do. Andrew is convinced that I am 100 years old, but that's ok! I don't even mind! 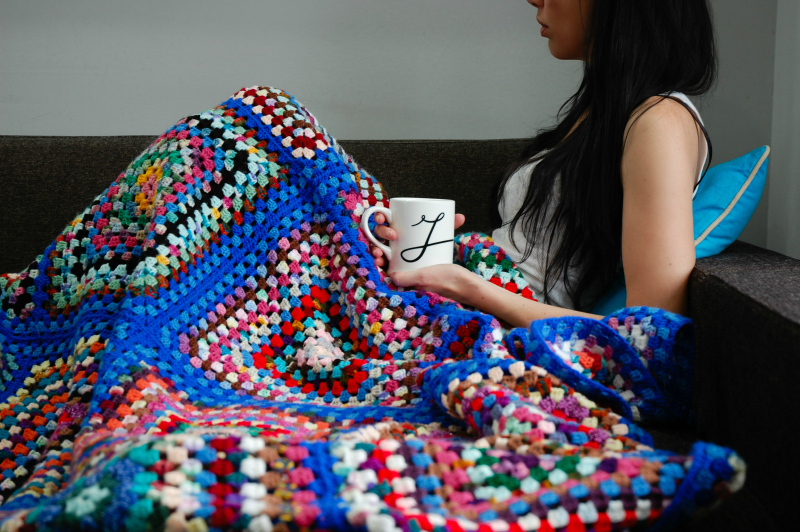 Curling up on the couch with a work in progress is a great way to relax and unwind after a busy or challenging day. 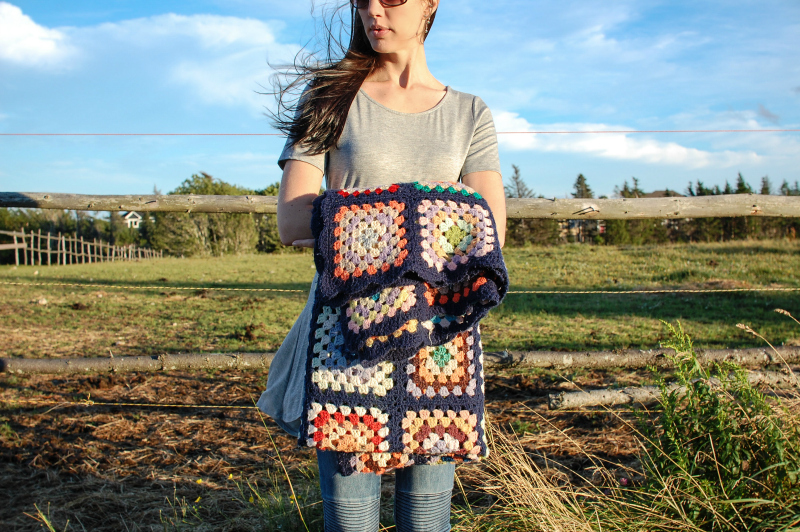 In a way, it keeps me from unravelling, one stitch at a time! 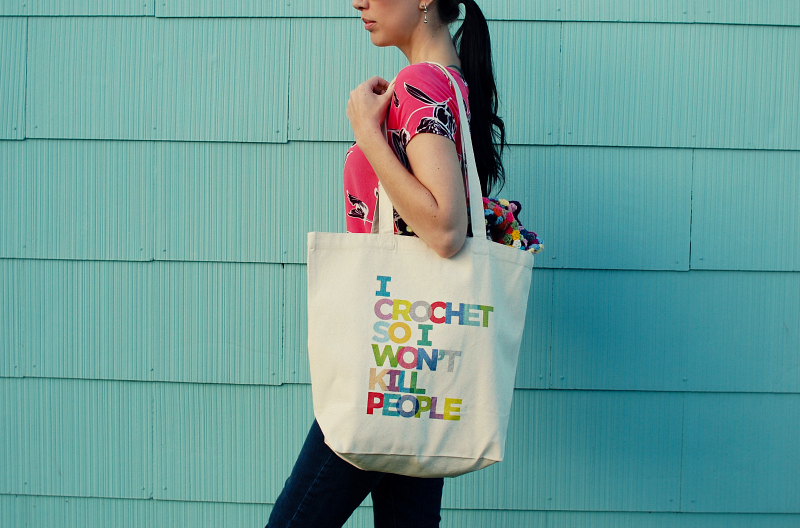 To put it another way - "I crochet so I won't kill people!"